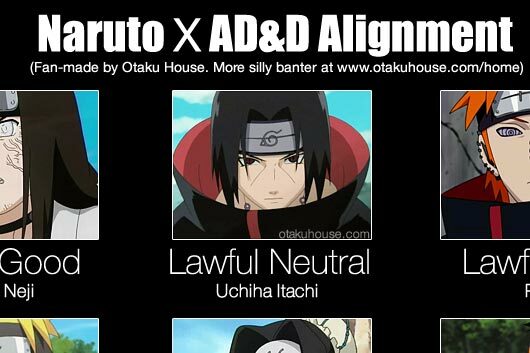 (see full image below) I had fun with the Naruto X AD&D Alignment classifying. So I decided to do one for Fate Zero too! Why Fate Zero? 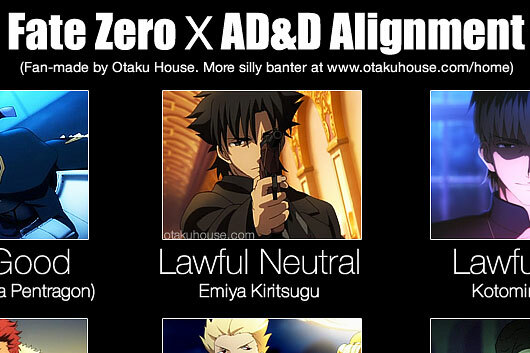 Because Kiritsugu is badass. Posted on August 13, 2012 August 30, 2012 Author Tsukuyo NinWhy So Serious? (see full image below) Yes, everybody knows about the AD&D Alignment. But for the ill-informed, AD&D is the epic role playing game: Advanced Dungeons and Dragons. The D&D Alignment is a famous categorization among gamers for a character’s ethical (Lawful, Neutral, Chaotic) and moral (Good, Neutral, Evil) perspective.